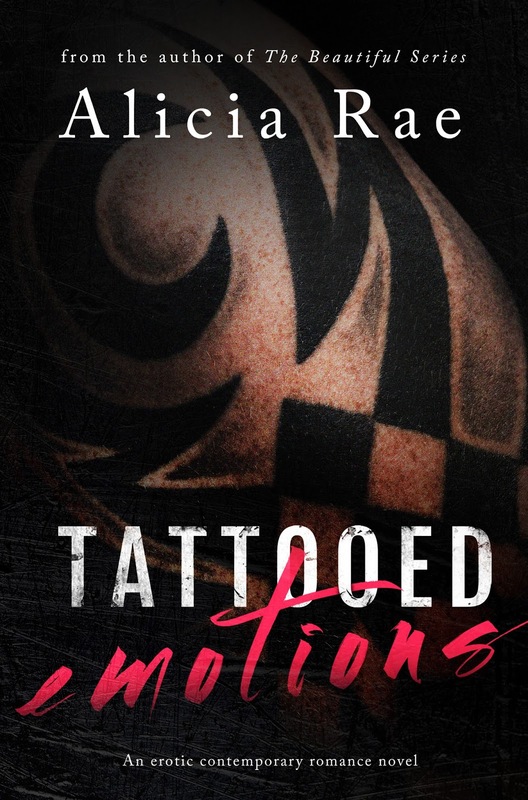 Reads All The Books: Tattooed Emotion by Alicia Rae - Review and Giveaway! Tattooed Emotion by Alicia Rae - Review and Giveaway! So let me begin by saying, this is not a Stand-Alone which I didn't realize until I started continually checking my location in the story and thinking, there is no way that this can all get worked out..there is only 80 percent left, etc, etc, etc. Was I disappointed with that, only in the fact that I am so anxious to have thing work out for this couple that I am now despondent as I wait for book 2 (guessing we won't get to the end of the story in book two either; the agony!) which can not come soon enough for me. "After three excruciatingly long and painful months, today was finally the day I'd been waiting an eternity for. It would decide if my tumor would win and take my life or if, by some miracle, my body had survived the fight and I would have a future." and have you rooting for the heroine immediately. What you don't realize is how much the hero is also going to pull you under and have you craving answers while wanting him to find happiness and truly be free of his past. It is so easy to let yourself breathe through this couple. To feel as if you understand their fears, their pain, and their joy. I can honestly say that I didn't understand going into this story how much it would pull me under and have me deeply invested. I loved Raelyn's spirit. She struggles everyday with her fears and yes in some ways they hold her back, but I love the light that shines out of her regardless. I like that she isn't this heroine that is all happy go lucky while dealing with a terrifying situation, she isn't giving off rainbows and lollipops while she fights to survive. I think I like that about her because in my mind if I were dealing with the same situation I don't believe I could be all sunshine and smiles. I'd be terrified, I'd be sad, I'd question if giving up is better than struggling forward, and even if I was 'healed' I'd constantly fear the future because we know 'healed' in this situation never means you are 'safe'. I like that she felt real to me. I am all for people/characters that can make the absolute best out of their situation and I give huge kudos to those that can smile through their pain and make those around them believe and smile as well, but I feel a deep connection to someone who is scared and puts it out there as well. Of course we will all look back and wish that she had been more open, but it is completely understandable why she hadn't been. "I'd nearly drifted off into a tranquil slumber when I heard Damien's voice. "Nothing has ever felt so right, Raelyn." He pressed his lips into my hair to kiss me. "Nothing....until now."" He is so tortured and almost boyish in some of his behaviors. It's like a part of him no matter what he says is stuck in his childhood, in the horrible past we know he comes from...you can't help but root for him to find peace and to know what a loving touch is. The only thing I could have wanted more from this book when it comes to Damien is I wish we had gotten his POV.. Perhaps in the future there will be a book from his point of view to tie in with Raelyn's. I am also more than curious about the other characters in the book, particularly Raelyn's best friend, Iris. I think there is a story there waiting to be told and I am hoping she will get her opportunity in the future. I am also quite curious about Cale, even though I want to beat him senseless with my Kindle. He's clearly not the 'good' guy in this situation, although I think that there are worse people in this story (odd perhaps) than him (Ahem, Sage and Zoey) and for some odd reasons I believe he is capable of redemption. Besides missing Damien's POV in the story the only other thing for me that knocked it down to 4 stars is that it is an Insta-Love....I mean INSTA. These two go into a relationship knowing next to nothing about each other. Do they work it out as they go along, sort of....there's a lot left to be learned, but it brings on a bit of drama. I appreciate greatly though how adult they are in their interactions through the drama however. There isn't really any storming off or calling off the entire relationship when they each learn something new (perhaps not always unexpected) about the other person. I love that it is a deep and emotional relationship taken on by two adults and they know how to act like adults, no wanting to chuck my kindle across the floor with these two, haha. I think this is a great book for any Contemporary Romance fans and I am really looking forward to book two in the series, we were left with a bit of a cliffhanger, but it is a beautiful moment.